Surprise Giveaway! Win a Magazine Subscription! 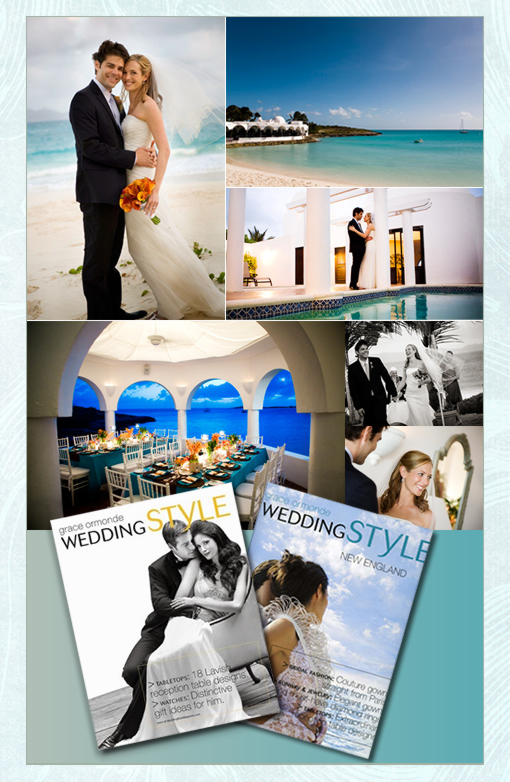 Simply leave a comment and let us know if you would like to receive one year of Martha Stewart Weddings, One year of BRIDES or any 2 issues of Grace Ormonde’s Wedding Style Magazine and we will send that on over to you. THIS CONTEST HAS A WINNER… THANKS FOR ENTERING. We love Martha Stewart Weddings and want you to have one year of her fabulous magazine filled with hours upon hours of wedding inspiration. The above wedding of Liezel and Christoper in Chicago, Illinois is filled with personal details—right down tot the special cocktail that was surprise from the bride to the groom. The lush ‘Coral Char’ peonies where scattered throughout the wedding Day. From the sweet bridesmaid bouquets to the wedding cake. It should also be mentioned her cathedral-length veil of handmade scalloped lace belonged to her mother. See more of this enchanting wedding here. Grace Ormonde’s Wedding Style is a fashionista’s dream come true. To die for photo shoots and large layouts to make sure you see all those details up close. The above wedding took place in Maundays Bay, Angulla. Lauren Weisberger married Mike Cohen along side 120 of their closest friends. See more of this destination beach wedding here. 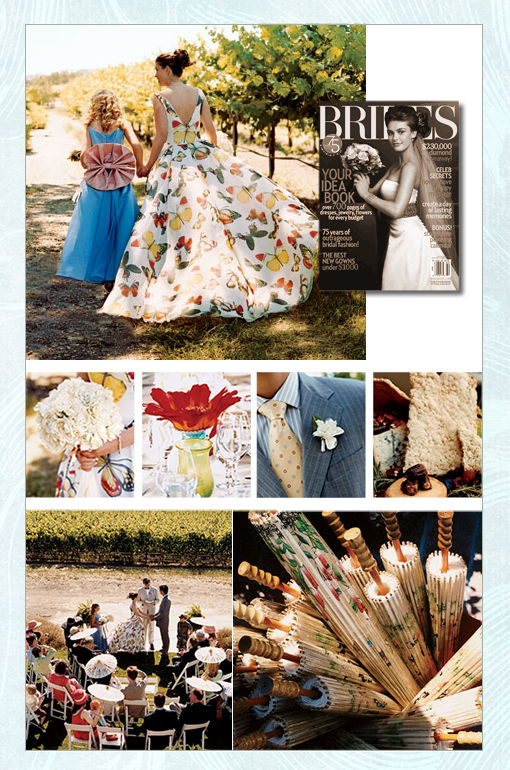 Brides Magazine is hands down the go to place for whatever you might need in planning your perfect day. Gemstones aren’t the usual inspiration for a wedding theme, but they played a key role for Holly D’Lane, a custom-jewelry designer, who married Hugh Heslep took their vows amid the towering rows of grapes, then lingered with their guests at Summerwood for a private wine tasting, featuring Syrahs, Cabernet Sauvignons, Zinfandels and plenty of chocolate truffles. Wed in a Colleen Quen silk dress covered with brilliant orange and yellow butterflies. When your dress is this original, the usual wedding site just won’t do. So Holly and Hugh, who live in Los Angeles, started shopping the California vineyard scene, finally deciding on the Summerwood Winery, in Paso Robles.